With its conference rooms, music and art studios, lounges, cafe, computer center, and administrative offices, Bloom Amenities Center is a vital activity locus for the Millennium Bloomington Apartments. 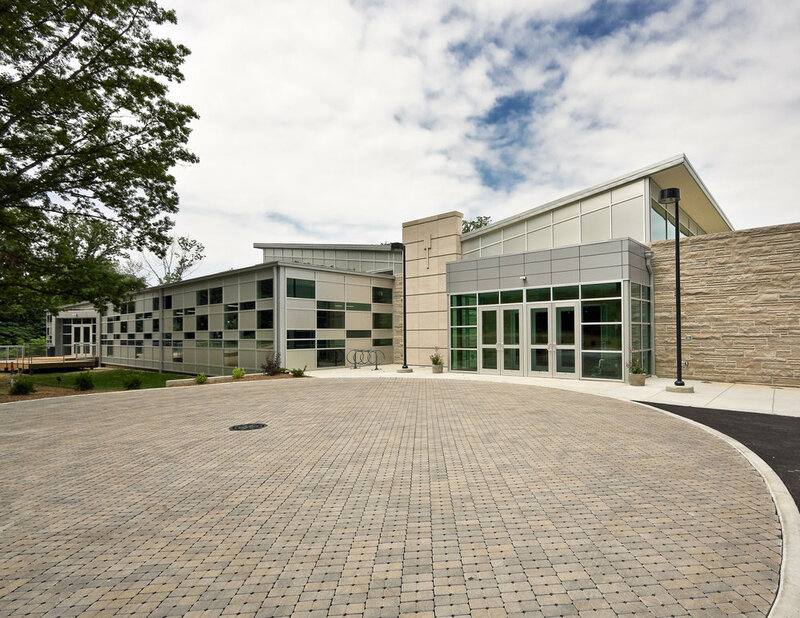 The building's "green" design includes a "live" roof, locally quarried limestone, porous concrete site pavers, and recyclable interior finishes. An innovative mix of aluminum curtain-wall panels and tinted reflective low-e glass creates a lyrical light pattern while providing an energy-saving building envelope.